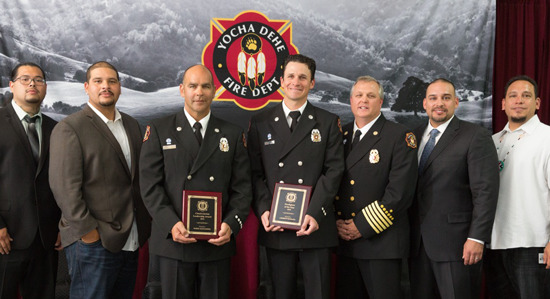 BROOKS, CA (April 20, 2017) – The Yocha Dehe Tribal Council, tribal citizens, and community members and leaders joined today for the eighth annual Awards Luncheon to pay tribute to the firefighters of the Yocha Dehe Fire Department (YDFD). 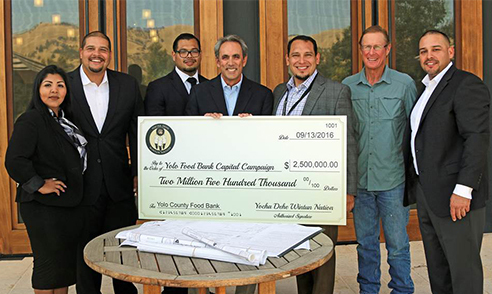 WOODLAND, CA (April 4, 2017) – The Yocha Dehe Wintun Nation and Yolo County have approved an intergovernmental agreement that will provide the county and others more than $161 million for a range of public uses over the next 22 years. The mitigation agreement is in connection with the expansion of the hotel at Cache Creek Casino Resort and will deliver resources for public safety, local Capay Valley programs, roads, public transit and the county’s general fund. Through careful collaboration, tribal and county leaders have agreed to benefits not normally part of such pacts. 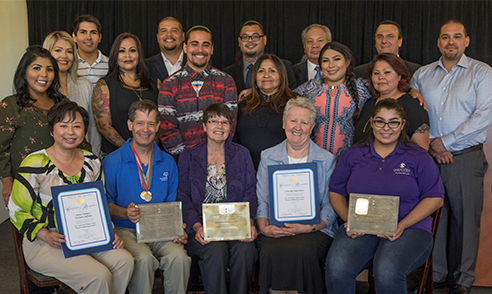 BROOKS, CA (March 1, 2017) – The Yocha Dehe Wintun Nation will create a new tribal entity to allocate a pool of funding to support the community and other causes. In its new Tribal-State Gaming Compact, signed in October with Governor Jerry Brown, the Tribe requested and received the ability to redirect a significant portion of the revenue normally sent to the state. These allocations will be utilized locally to address a range of causes and initiatives, including economic development and revitalization. BROOKS, CA (August 4, 2016) – Governor Jerry Brown and the Yocha Dehe Wintun Nation have completed negotiations and signed a new Tribal-State Gaming Compact between the State of California and the Tribe. Following ratification by the State Legislature and posting by the Bureau of Indian Affairs in the Federal Register, the new compact will replace the current compact that was signed in 2004. 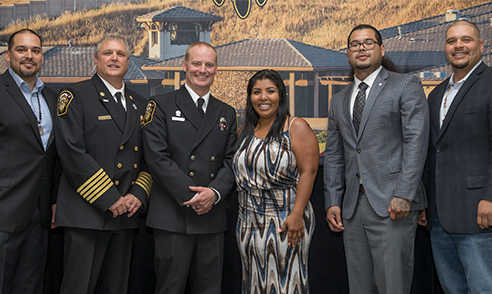 The Yocha Dehe Tribal Council, tribal citizens, and leaders and guests from around the region gathered today at the Fire Station in Brooks for the Seventh Annual Recognition Luncheon to celebrate the service of the Yocha Dehe Fire Department (YDFD). The Fire Department of the Yocha Dehe Wintun Nation has again earned accreditation by the Commission on Fire Accreditation International (CFAI). The decision was announced August 27 in Atlanta, Georgia. The Yocha Dehe Fire Department (YDFD) first earned accreditation in 2010 and is the only Native American fire department to do so. Our wastewater is treated to a tertiary level using a membrane bioreactor (MBR) treatment plant, which is the most advanced type of plant available and yields water that is safe for human contact.